Margaux Rathbun is a certified Nutritional Therapy Practitioner, International Media Nutritionist and and a great friend of Green Nutritionals. 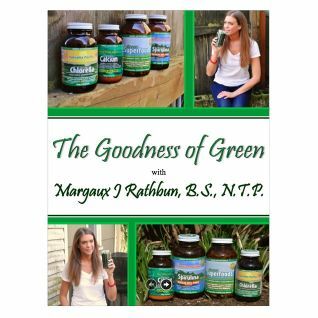 At our request she has put together this excellent book of recipes using Green Nutritionals products. You’ll find them easy, delicious and nutritious. Order your copy of “THE GOODNESS OF GREEN” recipe book here for an instant download. We may contact you in the future with news and offers, but we will never pass your address on to others or abuse your trust. Learn more about Margaux at www.authenticselfwellness.com.